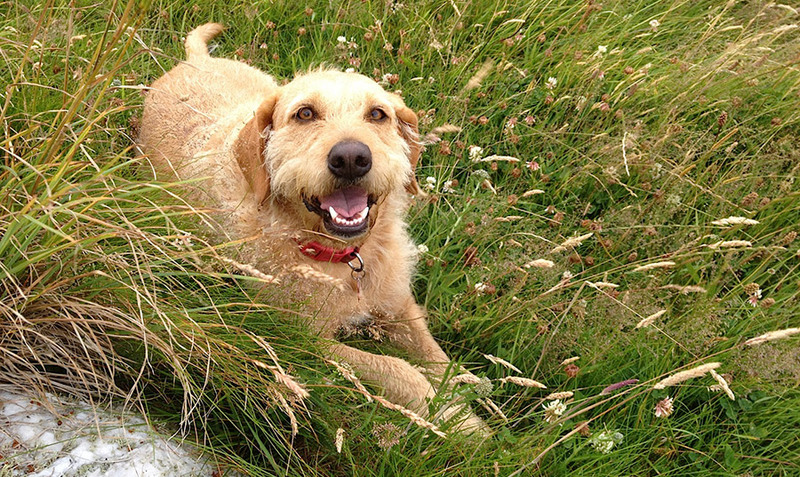 Here’s the story of Amber, as told by her owners Teresa and Stuart…. 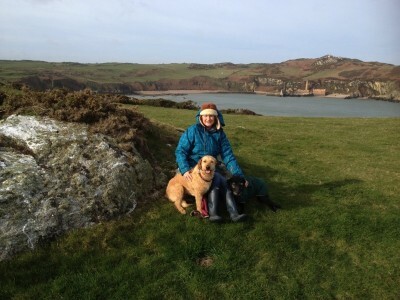 Late in 2013 we lost our beloved Molly, a lovely cross breed rescue dog who had been with us for a long time. She couldn’t ever be “replaced”, but there was a dog sized hole in our lives. 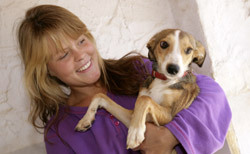 Of all the dog rescue charities we spoke to SOS Animals were the most professional and certainly the most friendly. Having had our home check done and talked at length about Amber we were convinced that she was the dog for us and went ahead to adopt her. 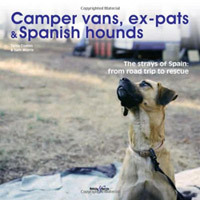 SOS Animals were particularly helpful guiding us through issues of leishmania, which Amber has. We also discussed this with our vet – who watched Amber’s video on the website – and saw no reason why this should stop us having Amber. So, all decided, Amber was on her way! She arrived after her journey from Spain on March 16th 2014. We were expecting a bigger Labrador type dog but out jumped a smaller, wiry haired, golden version of Molly. 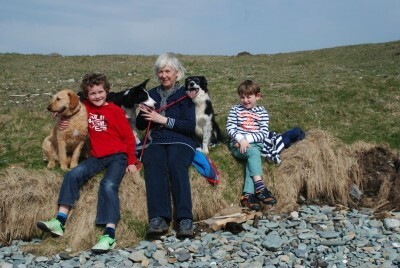 Even our other dog Sadie thought that Molly had come back to us. We were all delighted and Amber was the perfect name for this lovely girl. Sadie realised shortly afterwards that it wasn’t Molly and reverted back to “this is my family and my house”! Fortunately it only took a couple of days before Amber had settled in and Sadie seemed to take on a Mummy role for the younger dog. After losing Molly Sadie had seemed to have lost interest in her life but Amber has given this old lady a new lease of life, even get Sadie involved in her games of tag! To start with Amber wasn’t used to the Welsh weather and wouldn’t walk on wet grass or go out in the rain. We started taking her out on walks and meeting the local dogs and dog walkers. She was soon part of the Bull Bay community. We are very lucky to live right by the Anglesey costal path and can walk for as far as we want to. For most of the path dogs can run free and this has has become Ambers favourite walk where she loves picking up the scent of rabbits and charging through the heather. Amber still loves to play and is great friends with our boys Joseff and Finn. She enjoys playing ball, but needs some convincing to give it back. She also enjoys tug of war. In an attempt to stop her stealing our shoes and chewing whatever else she can find Amber now has her own toy box, but hasn’t yet learnt how to put her toys away. She seems happiest having her tummy tickled. 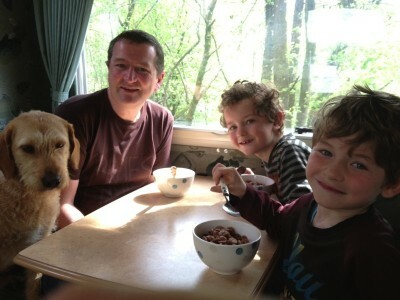 Since she has lived with us Amber has been off on camper van adventurers. At Easter Amber went to Northumberland enjoying long forest walks and inspecting the ruins of Hadrians Wall. 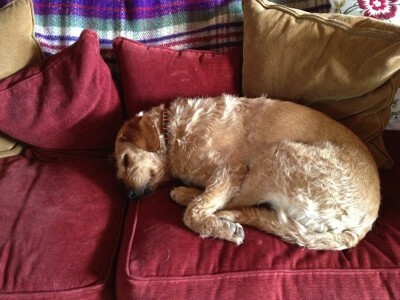 In July we all headed to a wonderfully warm Cornwall and discovered that Amber isn’t a water dog. Despite the heat there was no way that she was joining us to cool down in the sea. Instead she preferred to watch other dogs body boarding and surfing from the beach tent! We couldn’t be happier with Amber. SOS Animals were wonderful in making sure that she was the right dog for us. They also guided us through the issue of leishmania. We’re glad that we also got our vet involved with this to to reassure but it really is a non – issue. Amber needs to take two tablets a day, which work out at 10p each, our vet gives us a prescription so we can buy them in bulk and other than that you wouldn’t know that Amber has any condition at all. Our first summer with Amber has been wonderful. Having arrived on a warm spring day and enjoyed decent weather pretty much ever since we’re not sure Amber is ready for the winter up here but she’ll adapt. I’m sure that we’ve got plenty more adventures to come.